Whitby Town Council does not own or look after any ancient monuments in the Parish. However, there are several in the area that you may wish to visit. 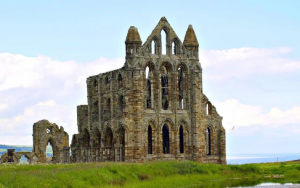 For more information on ancient monuments like Whitby Abbey and how to visit them, check out English Heritage's website. There is also the Whale Bone arch on West Cliff and the Captain Cook memorial Statue near it.